Many men are guilty of neglecting to clean and maintain their suit trousers. They assume their trousers will last a lifetime without any additional maintenance other than cleaning. But like all garments, even suit trousers can degrade over time. You may discover a seam coming undone, or perhaps the color has faded. Either way, it’s disheartening when your favorite pair of trousers become damaged. To prevent this from happening, you should follow these tips to improve the longevity of your trousers and make them last. It’s important that you rotate your trousers rather than wearing the same pair for multiple consecutive days. Some men have a “go to” pair of trousers that they preferring wearing to work. As a result, they wear these trousers for two, three or even four consecutive days without washing them. This is a bad habit that increases the risk of damage. Wearing the same pair of trousers day after day increases the risk of damage. Therefore, it’s recommended that you rotate your trousers. After wearing one pair of trousers, switch to a different pair the following day. You can then rinse and repeat this process. Use caution not to stretch your trousers when wearing them. If they are too small — even by just a half-inch in the waist — you may inadvertently stretch them when wearing them. Unfortunately, most trousers are designed to stretch. When enough force is exerted upon them, the fabric will become larger in certain areas, thereby creating a poor fit. Furthermore, stretching can cause seams to rip. When this occurs, the only viable solution is to repair the torn seam yourself or take the trousers to a professional tailor. To get the most use out of your trousers, make sure they are designed to fit your body. 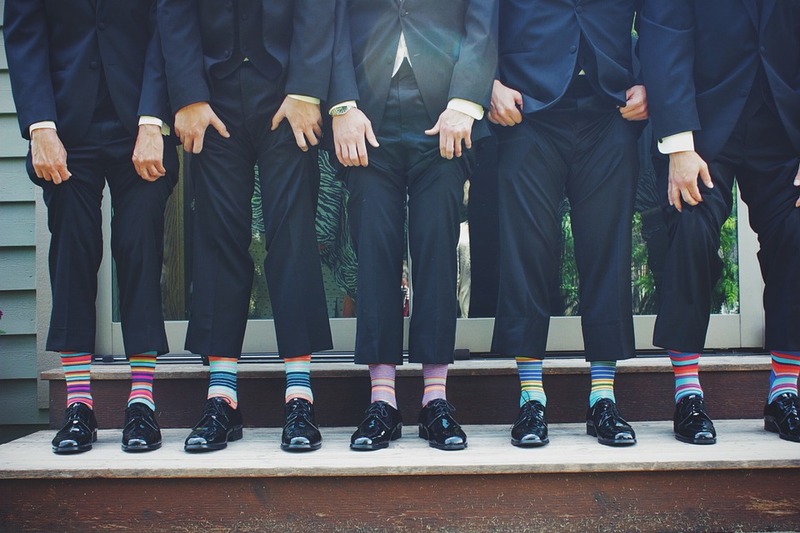 While you may be able to find a pair of suit trousers available in your size at a local retail store, it’s better to order a custom-fitted pair from StudioSuits. We offer custom sizing on all suits at no additional charge. You tell us your size, and we’ll create a custom pair of trousers based on your measurements. This is important because custom-fitted trousers such as these will last longer and offer greater utility than generic sizes. Of course, custom-sized trousers also look better than their generic counterpart. They offer the perfect fit to create a stylish, comfortable look that’s simply not achieved elsewhere. Why shouldn’t you use an iron on your suit trousers? Normally, ironing a pair of trousers once or twice — or even a few times more — won’t cause any serious or otherwise noticeable damage. If you continue to iron them, however, you may discover burn marks in which the fabric has been seared. You have to remember that irons work by exposing garments to heat. A typical steam iron uses hot water to produce steam that smooths out wrinkles and creases. While effective at de-wrinkling, though, irons can shorten the life of your trousers. If you need guidance on how to press your trousers, refer to the manufacturer’s recommendations listed on the care label. If a pair of trousers isn’t “iron safe,” your best bet is probably to have them dry cleaned. 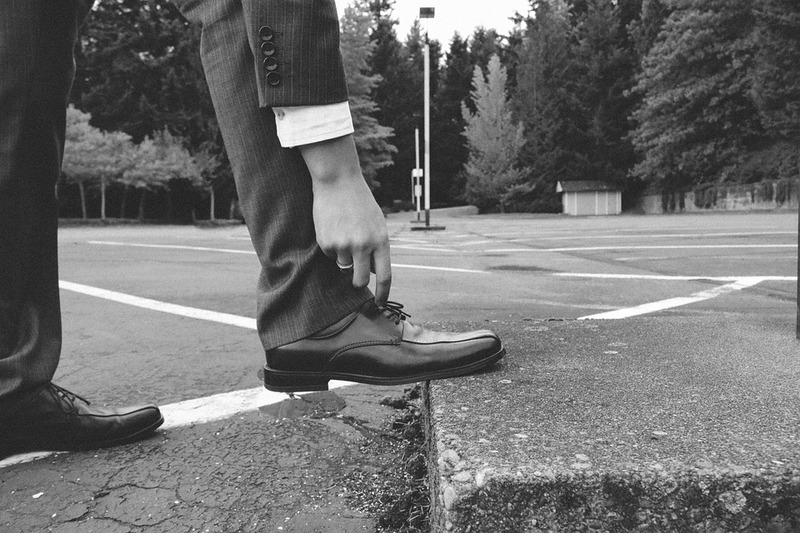 When wearing your suit trousers, make sure the bottom doesn’t drag on the ground. Even if they fit in the waist, the legs of your trousers might be too long. This is a common problem experienced by men who shop for trousers at local retail and department stores where only generic sizes are available. As the bottom of the trousers drag on the ground, the fabric quickly degrades and becomes damaged. Thankfully, you can prevent this from happening by choosing trousers in the right size. Just make sure the bottom doesn’t drag on the ground before walking out the door. If you’re crunched for time and don’t have the option of choosing another pair, consider wearing your trousers higher around your waist so that the bottom doesn’t touch the ground. Try to get into the habit of hanging up your suit trousers when you aren’t wearing them. Most men hang up their suit jacket on a clothes hanger but few do the same with their trousers. Trousers need just as much attention as suit jackets, though, and failure to hang them up may shorten their life. After cleaning and drying your trousers, take a few minutes to hang them up on a high-quality, durable clothes hanger. Don’t use just any clothes hanger but, instead, use a wooden clothes hanger made of cedar or similar genuine wood. Another tip to make your suit trousers last is to check your pockets before washing them. Leaving spare change in your pockets probably won’t cause any damage. But if you leave pens or markers in the pockets, you may discover your trousers stained after they finish washing. To avoid this costly headache, always check the pockets of your suit trousers before washing them. Whether it’s a marker, penny or your spare house key, remove all contents from your trousers’ pockets before washing them. We’ve talked about this trick before, but it’s worth mentioning again that you can protect the color of your garments, including suit trousers, from fading by washing them with vinegar. Simply add 1 cup of distilled white vinegar to the washing machine and place your trousers inside, setting the washing machine to cold water. Vinegar works to “set” the color of your trousers, thereby protecting them from fading. Finally, take a few minutes to inspect your trousers for damage on a regular basis. A loose zipper, for example, can be easily repaired if you catch it early. If you wait too long, the zipper may completely come off, preventing you from wearing the trousers.